MaaS360 and Cloud Identity integration enables IT administrators to seamlessly provision third-party apps to end users and enable them to log in to these apps with a click of a button. 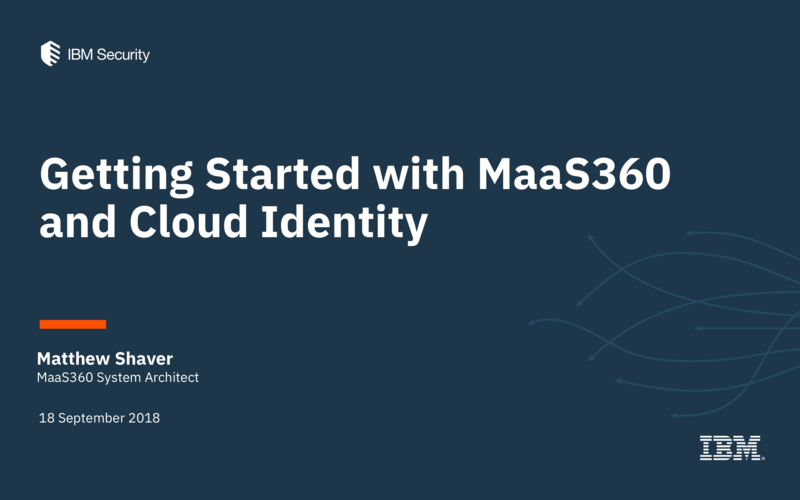 Join us on Tuesday, September 18, as we walk through the steps of getting started with MaaS360 and Cloud Identity, including how to enable Cloud Identity in the MaaS360 portal, how to navigate the Cloud Identity portal, and more. We will also also any questions you have about MaaS360 and Cloud Identity. Join us to learn how to streamline app login for your end users! Login: Register now to receive a calendar invitation via email.